Does this thermostat come with the gasket required? What is the difference between these and aftermarket thermostats? The factory thermostats are stainless steel and do not corrode like the brass ones from other places. What degree does this thermostat open at? This thermostat opens at 143 degrees. Great service, good pricing and reasonable shipping cost from USA to AUS. 'Can't find your outboard part in OZ ?.. go to Crowley Marine.' Thanks. Problem fixed: No cooling water circulation, gear case oil leaks and rough running. Unit had age related corrosion in the cooling system water pump housing which also requiring helicoil repair of corroded bolt/screw holes. Thermostat and housing gaskets replaced as preventative maintenance. Seal degredation in the gear case required a strip and rebuild of the gear case with new seals. Now while I am at it, the old girl from the class of 75 will have a carby strip, ultrasonic clean and rebuild to eliminate some age and 'old fuel' related contamination of the carby. Sweet. Never overlook preventative maintenance and servicing. Crowley Marines web site IPL and customer service got the ball rolling. Easy as. No rush, take your time and do a good job. Safe boating all. Excellent service and product! Quick shipping! And keeps you updated during shipping!!! They did a great job. I re built my 1983 115 evinrude. They sold me all parts I needed and got them to me almost too quickly. Web site is easy to use and all my parts were correct. 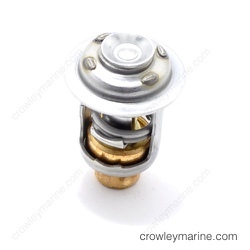 I recommend crowley Marine to all my friends and family! Replace the waterpump assembly, replace the thermostat and clean thermostat housing with wire brush , inspect and clean prv an clean prv housing , replace spark plugs as the motor is 8years old, clean return line fuel filter at the vst. Provided instructions and watching a few YouTube videos made it relatively easy for a first timer. Problem fixed: temp ck one bank hotter but in range. serves me right reading comic books instead of school books. picture shows one thermostat. So I installed 1. Doing same job I realized separation therefore I need 2 thermostats and 2 pressure relief valves. reading parts list I now see 2. Don't be fooled by picture showing just one. No big deal in warm waters. But problem in cold. also not good for motor. Ordering simple. Fast delivery. Old Johnson engine and the parts were still available. Very satisfied. The shipping process took too long. Except from that, excellent condition and great parts arrived. A lot of part are in stock and fast shipping. Very good service and precise, I can always trust you guys even though the shipping costs are high with respect to other online markets. Problem fixed: No water coming from exhaust port. Always fast and have the hard to find parts I always need for my old engine. I especially like the interactive diagrams to find and select parts on the drawing itself. Excellent ! I would definitely recommend Crowley Marine to my friends. 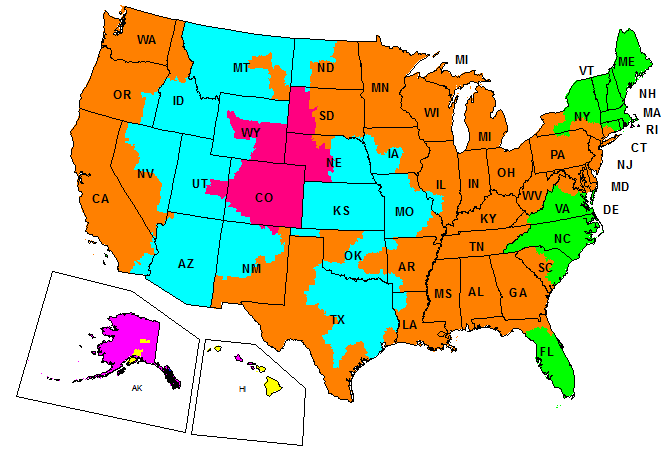 Service is prompt and Shipping rates to Hawaii is very reasonable. Removed the head plate to access the thermostat. Unfortunately two of the bolts snap off due to salt corrosion. Just used high heat gasket sealer with the gasket. Reassemble and it seems to do the trick. That’s why it took so long. Great experience highly reccomend doing buisness all parts in stock and fast shipping. Fantastic. Very satisfied. Thanks guys. Problem fixed: Poor water pickup. Not much water coming from the tell tail. Removed gearbox lower leg to replace water pump. Replaced pump and gaskets. Although the gear was left in neutral, I found it difficult re-locating the drive shaft and gear selector into the power head. Found it slipped in easlily when the engine was turned upside down and shafts lowered verticall downward. Also removed the exhaust cover outlet assembly and de-clogged the water valley area. NOTE: This motor is susceptable to salt clogging because it is difficult to properly flush the motor with fresh water. "Ear muffs" can't be fitted due to the location of the water pickup. Circulating the water in a bucket or tank/drum can be limiting to correct flushing. Also replace the clogged thermostat which had also suffered from salt corrosion. Love your exploded views to look for parts and you site is just so easy to navigate. Easy and accurate parts look up. Fast shipping. Exact fit on all parts. Nice to find a business that provides excellent service. I have a 20' proline cc I purchased in 1989. Finding parts to do repairs was almost impossible. I did not want to repower because of cost of new motor and labor. 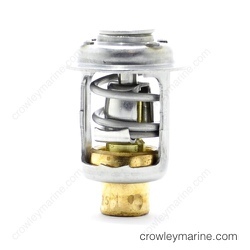 I found Crowley Marine on line. They had all the parts needed. Now I have a supplier to get parts I may need in the future. I could not believe when the parts arrived in 2 days to canada. As always great quality products and fast courteous service. Will surely buy again. Have bought from this store before and always had good results. Excellent place to buy parts for my old Johnson 150. Exploded diagrams are great for product ID. Parts can quicker than I anticipated. Very happy.. Replaced water pump, rebuilt fuel pump and carburetor still have problem will keep trying. easy to navigate, find the items I needed and checked out, No problem with shipping either. Fast service and was able to get the Turbojet Service Manuel 90,115 [new] at a much better price than Amazon. Excellent Service and Prompt Delivery to Australia, You Cant get much better. Thankyou. Fast delivery and have the parts I need for my old evinrude engine shipped to Sweden. Fast turn around time and Great customer service!! Fedex truck burned up with my order on it and with one call I received my order the next day!! ALWAYS EXCELLENT,OTHERS CAN LEARN FROM THIS!! Great company, I have recommended you to everyone I know that owns a boat. Thanks for the great service and fast shipment From now on you'll be my first call for all my boating needs. when you remove the water pump impeller if the vanes are disintegrated to any large degree. (ie) pieces missing. The fragments are most likely up inside the motor. These fragments cannot pass through the water restrictors in the bottom of the block. The blocked restrictors limit or totally block the water flow through the motor. The only way to remove the fragments is to back flush them out of the motor. I did this by removing the water cover and the thermostat. Then I ran high pressure water from a hose into the block at the thermostat opening. I put a 5 gallon bucket under the motor before I applied the water pressure to be able to see if anything came out. Sure enough everything missing from the impeller blew out into the bucket. I reassembled the motor and it had good water flow and cooled perfect. Great - all as advertised and accurately shipped. Removed power unit - stripped out heads and lower unit. Replaced all gaskets and thermostats and poppet valves, plus hoses, welded lower casing, reassembled. Ran fine. They delivered the correct parts very promptly! All very good. Removed the head, shaved it (I took it to a machine shop where they have a large belt sander table with diamond sandpaper. Paid them $20 to clean it up. It was not warped or anything. Just did it because), removed the water plate and cleaned up contact areas and replaced gasket and thermostat. Replace some worn parts in the water pump area and installed new impeller. GREAT!! Good prices, flat rate shipping at $3.95 and fast shipping, & great selection of parts!! I'll be back! GREAT! I placed a small order and the prices were good and shipping was great. I like the fact these are factory parts and not after market which I have had some bad experiences with in the past. I just placed another order two days ago! Very east job. Just be sure to get the thermostat, seal, & gasket as I did. After I removed the old one I flushed all the passages with my water hose and then compressed air. Probably could have been done in 20 minutes or less but I don't have to hurry anymore! Was great, had problems finding available parts for my older model outboard, but Crowley marine had everything i needed, thankyou. Thermostat was seized, after changing impellers, still noticed the engine wasnt cooling and after checking the thermostat, problem solved. 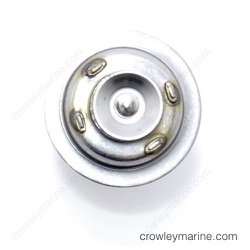 I have purchased parts from Crowley Marine in the past and I have always been happy with the product, price and speed of shipping. I do not know why local dealers refuse to operate their businesses in such a manor. I buy exclusively online. Oh well…their loss. excellent. Parts arrived quickly, and they were the right parts.